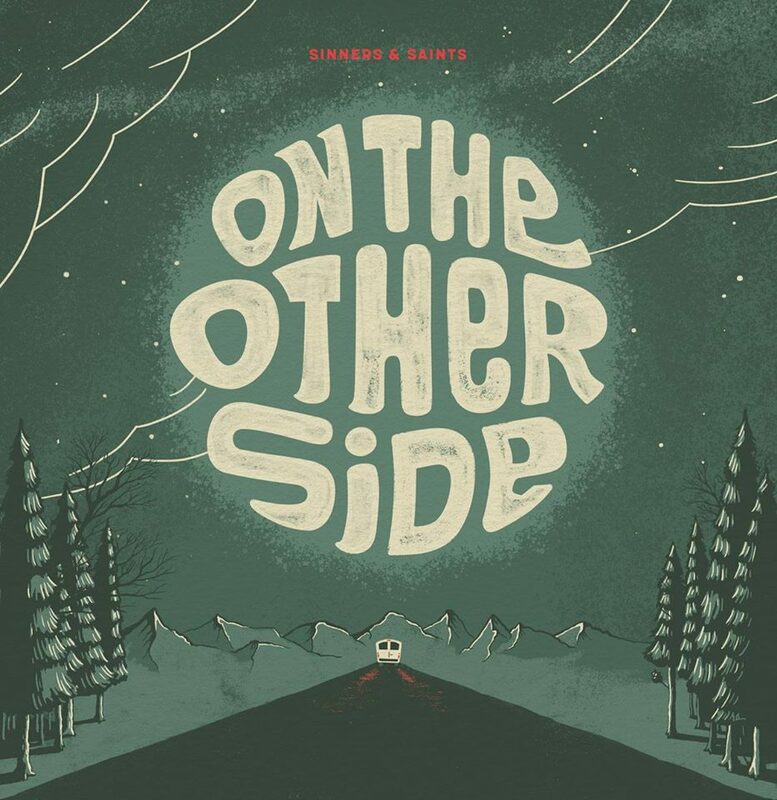 The Other Side, the second full-length album from Charlotte, North Carolina duo Sinners & Saints, is a roots lover’s brew of bluegrass, country twang, and folk. Filled with songs about drinking, love, heartbreak, and adventure, the album has a refreshingly vintage old-school feel. The duo of Perry Fowler and Mark Baran shines with the bright fiddle and harmonica-filled love story “Promise Land,” along with the melancholy pedal steel and guitar rich “Up Like the Sun”–both songs with a blend of raw roots influences reminiscent of early Avett Brothers works. The guys also remember to have fun, which is showcased on the album’s bluegrass-inspired offerings. Through lively upright bass, folksy harmonica, and foot-tapping drum rhythms, the pair keeps the album infectiously upbeat. “Whiskey Drinking” is a lighthearted, boozy, good time tune with background touches of barroom ambience and clinking glasses. “Old Bones” spins a tale of a love that came, left, and returned–with the help of a faithful canine companion–which is playfully accompanied by accents of vocal dog howls. With The Other Side, Sinners & Saints have expertly fused classic roots and country influences with a light and joyous touch, the type of frolicking bluegrass that just makes the soul feel good.